Posted on 11/15/2018 What is Post-Concussion Syndrome? We understand some of the physical, cognitive and even emotional effects a concussion can have on a person, but the changes to the brain cells themselves have been largely undocumented. This unknown helps explain why some people who suffer concussions recover without any persistent symptoms while others suffer severe side effects and even death. It also explains why doctors have a difficult time predicting the likelihood of recovery for brain injury survivors. A study published in Scientific Reports April 18, 2016 titled Strain and rate-dependent neuronal injury in a 3D in vitro compression model of traumatic brain injury details how the cellular structure of the brain changes after a compression forces at various speeds are applied to cells, simulating a concussion causing experience. Rat neurons, which contain the exact same pathology as human neurons, were used in the experiment. Note: Compression forces are a result of blunt force trauma to the head. These are different from the forces felt by rapid acceleration and deceleration which can cause shearing and tearing of the axons. A detailed video of the cells over a 24 hour period of time shows exactly what happens to a cell after an impact. The results are astonishing. See frames from the video here. The study broke ground with the discovery that damaged areas of the brain do not all swell, leaving swollen areas or ‘blebs’ as they are commonly called. Instead, cells which experience slower impact simply wither away, retracting their connections to surrounding cells, and die without any sign of inflammation. This has been labeled “Neurite Thinning.” The characteristic blebs and resulting Diffuse Axonal Injury (DAI), are only observed when faster forces are applied. These cellular blebs became visible on the video around 6 to 8 hours from the impact. SPECT scans and other imaging tests which demonstrate the flow of blood are likely going to become more useful as the medical community acknowledges other tests that show structure alone, like CT, are less predictive of lasting effects of brain damage. What's more, medical examiners that have been looking for blebs alone as evidence of Traumatic Brain Injury (TBI) may have been greatly under predicting the amount of brain damage actually suffered by their patients. Most importantly, this study identified a window in which treatment may drastically improve the outcome of people with TBI. Roughly 6 hours after a compressive impact occurs is when the irreversible damage begins, with cell death typically complete 10 hours from the impact. You read that right, 6 hours after impact. That means there is time to intervene after the impact before the damage is done and protect the brain cells that have not yet been harmed. But, Why Don’t We See Damage Until 6 Hours After the Impact? Researchers posit the delay is due to the cell dying from the inside out. There are chemical processes happening that activate the enzymes which will kill the cell. By the time the death of the cell is visibly occurring it is too late to stop it. A common misconception is that once the impact or traumatic event has ended the damage is done. Time and again this myth has been proven wrong. There are changes happening at the cellular level for hours after the initial impact, often called the cascade effect because once one cellular structure dies the nearby cells quickly follow suit. This phenomenon has been previously identified, but up until now there was not a clear time window to prevent further damage, nor was there a video capturing the death of a neuron under controlled settings. There are many studies pending regarding the Hypothermia Approach to TBI treatment. An inhaler which administers a blast of cool air directly to the brain is in the works, but it will take years to perform the required testing before it is available for use. The inhaler will chill the damaged cells to just the right temperature to prevent irreversible brain damage if administered within a certain period of time after a concussion, which we now know to be less than 6 hours from the initial injury. This study has acknowledged limitations, one of them being the neurons in this sample are subject only to a single compression cycle to recreate a blow from blunt force trauma rather than the multiple cycles and other forces neurons may experience due to successive impacts or a coup contrecoup style injury. 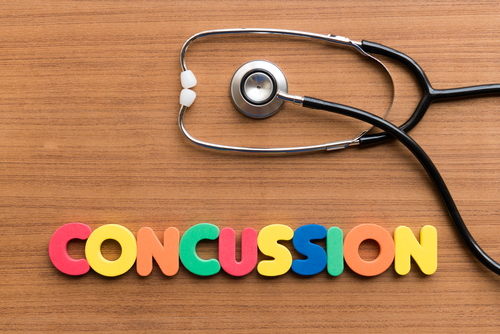 If you or someone you know is experiencing symptoms of a concussion after suffering a blow to the head or other trauma, seek medical care immediately. This study demonstrates more than anything that prompt treatment is crucial for a successful recovery. After you have been evaluated, contact an attorney with specific knowledge of brain injuries to discuss your options as far as compensation for your medical bills and other expenses. If you would like to read the full study, a link has been provided below. Bar-Kochba, E. et al. Strain and rate-dependent neuronal injury in a 3D in vitro compression model of traumatic brain injury. Sci. Rep. 6, 30550; doi: 10.1038/srep30550 (2016).